Being a groomsmen is a great honor, so thank your guy friends with a thoughtful gift for standing by your side! groovygroomsmengifts.com has amazing gifts for even better prices! They have so many options that anyone would love! Flasks, travel bags, accessories, mugs, wallets, just to name a few! 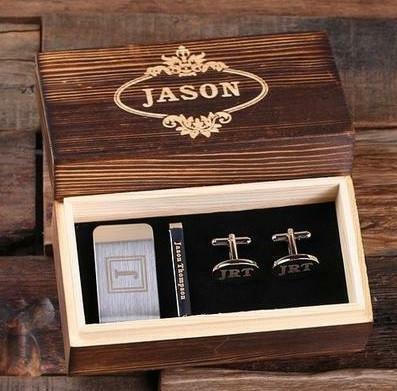 What we love even more is that you can customize any gift so it is personal to each groomsmen. Here are some of our favorites!